Dr. Medina is an old-fashioned kind of doctor, the kind who not only takes care of his patients but actually cares about his patients as people. He’s not old-fashioned about education, though. In fact, he has three degrees! He earned an MS in Biostatistics in 1981 from Loma Linda University School of Public Health, California; and an MS in Computer Science from Cal Poly Pomona in 1985. It was while he was working in the Dental Research Department for Periodontal Disease that he decided to dedicate his life to serving people and continued his education at Loma Linda University Dental School, graduating with his Doctor of Dental Surgery (DDS) degree in 1994. Dr. Medina is a technology geek with a human touch who relishes all things computer. His dental website is a hobby because his goal is to have the best site in the world. That doesn’t mean the website with the most clicks but the one that is the most fun to visit, where you can learn about teeth and how much Dr. Medina loves caring for teeth. He enjoys his work so much that he doesn’t just practice dentistry at his Camden practice. He also takes bi-annual dental mission trips to Mexico with his family to serve abroad, and he serves his local community by donating his time to people in need. 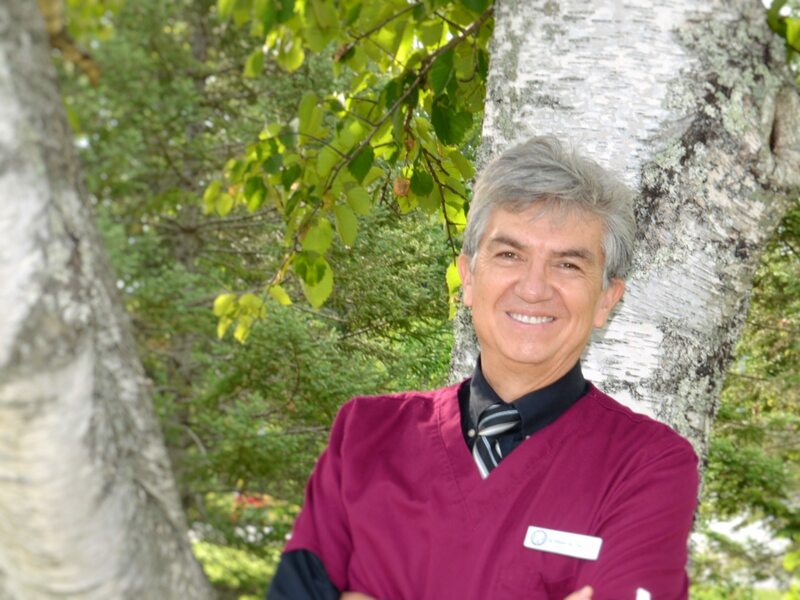 Although Dr. Medina hails from New Mexico, now that he’s gotten used to Maine, he enjoys more than just a cozy evening by the fireplace. He enjoys bicycling and is always looking for events to participate in. He also loves photography and has found many beautiful subjects for his Seasons of Maine collection in the many fingers on the coast with their views of the water, lighthouses, and coves where artists capture lobster boats on their easels. Most of all, he loves spending time with his family and he’s proud that Seasons of Smiles has become a second family of staff and patients to share smiles with.